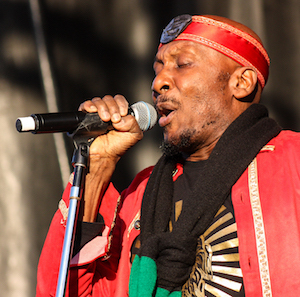 Recently, SF SF Sonic had the opportunity to speak with reggae legend Jimmy Cliff. 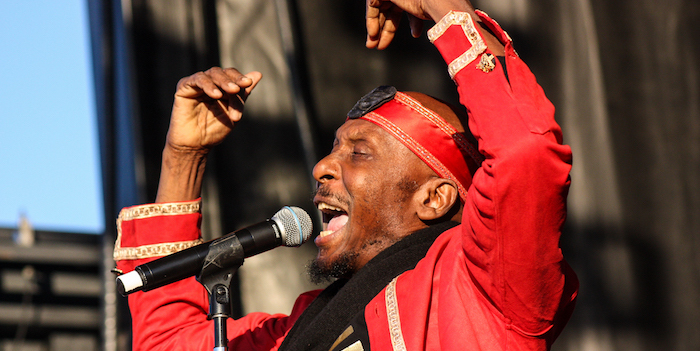 He’s been performing since he was a teen and is known for many songs that are part of the reggae lexicon as well as for the landmark 1972 Jamaican badass crime film The Harder They Come. That movie’s soundtrack is said to have “brought reggae to the world.” These days, Cliff splits his time between living in Jamaica and Florida. Cliff turns 70 next year and plans to release a new album and hopefully tour as well. Recently, he released the single “Life,” which will be featured on the album. SF Sonic: Do you have a full album coming out soon as well? Cliff: With the album, I can’t say soon. I was hoping that it would come out this year, but maybe it won’t come until early next year. Spring time of next year. SF Sonic: So will there be a tour with that as well? Cliff: Quite likely a tour as well. SF Sonic: The last time I saw you live out here in the Bay Area a few years ago, I was very impressed that you could kick high over your head with your amazing dance moves. You still got those moves? Cliff: (Laughs) I still keep in shape. I don’t know if I can kick high over my head just the same, but you know when I know I’m going on tour I get back into my skipping and what not. Swimming and all of the things that I do. I don’t keep it up all the time but when I’ve got a tour coming up I like to start getting in shape. Normally, I like to keep in shape. SF Sonic: Nice. So you still do a bit of swimming? That’s what how you were keeping in shape the last time we spoke? Cliff: Yes. Swimming, skipping, jogging. You know all of those. You know I’m lifting some weights too and all of that. SF Sonic: The last time we did an interview was about 20 years ago Jimmy. And between that time and now, the technology has changed so much for you in the music industry. 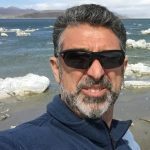 Can you tell me about what has been the best of that change for you and what has been the most challenging? Cliff: The changing of the of the technology you mean? Cliff: Well, I have a song on the new album called ‘Internet.’ And it’s kind of sums up technology. There’s a line in it – “Internet for better or for worse/Internet it’s a blessing and curse.” So basically, what it is, is a lot of things for me. For now I can put my music out without depending on a major company to go with, but on the other hand the technology puts a big bite into my royalties. People can download the same song on the internet. People can sometimes download as many things as they want on the internet and not pay for it. So, you know, it’s for better, it’s for worse. SF Sonic: How are you distributing your music nowadays since you’re not working with a major label? Cliff: The single now, I’m just putting it out for digital distribution. I’m still waiting to see how we’ll do it with the album. SF Sonic: I see. And then going back to your roots of where you started playing music, I always got the feeling that you started playing music in the church? And with what instrument did you start playing music. The organ? The guitar? Cliff: Well, you know in Jamaica there was music all over the place. All around. Everywhere. For every occasion there was music. So yes, I went to the church and in the church there was music as well. But it was like there was music if you go to a wedding, music if you go to a funeral. At work there was always music. People singing at work. So there was all this music. Music all around. SF Sonic: You started pretty young in the music business right? Cliff: Ya, when I left primary school to go to college in Kingston, I was just turning thirteen, so I stayed in college for about a year. I really went to Kingston, in my mind, to get my songs recorded. My father sent me to go to college to learn a skill, but I already felt that I had a skill of singing and dancing and making moves and all of that. So that’s really what I wanted to do. SF Sonic: Nice. 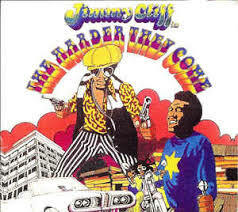 And about how old were you when the film The Harder They Come was made. Cliff: I was still in my 20’s. Mid-late 20’s. SF Sonic: Ok. So you’d been around the music business for awhile and a lot of people consider the character Ivan in that movie to be an important figure in musical history, especially with the movie being made in Jamaica. So if Ivan were around today, where would we see him? Cliff: With the change of the technology, I’ve had to really learn to adjust. I would see Ivan having his own little studio somewhere in a backroom somewhere. Maybe you wouldn’t see Ivan like he was in a band, but he would have his own studio pursuing what he left the country to go to the city in his mind-to sing. So I guess it would be a good thing for him. Because anybody can have a little studio anywhere these days, you know? SF Sonic: Distribution would be easier I suppose. He wouldn’t have to ride that motorcycle around as much. SF Sonic: So recently, we had Daryl Hall of Hall and Oates here in our city and one of the things he said was, “It’s not about us, it’s about the songs.” If you think back on your career, what songs do you think you feel represent you the best? Cliff: Well, I have so many. Like high spots in my musical career? There isn’t really one particular song that did it. But definitely “Many Rivers to Cross” would be one of them. “You Can Get It If You Really Want” would also be one of them because that was so much like an outlook on life. And a few more ya. SF Sonic: Bob Dylan once mentioned that your song “Vietnam” was the greatest protest song ever written in his opinion. How do you feel about how today there are maybe more protests than ever with the current situation her in America? Cliff: Well I don’t hear much protest songs even in the current situation right now. I don’t hear much. There are songs about “I love your body.” (laughs) I don’t hear many important songs. I don’t hear anyone making any social comments. You know, like when rap came in, the early part of rap, they used to make lots of social comments. Today, I can’t remember songs I can hear making any reference to the situation today. On this new album I have a song called “Refugee.” It’s about looking at the refugee situation that is going on in the world but looking at it from a historical point of view from when Jesus Christ went to Egypt running for Egypt. Prophet Mohammed sent his followers to Ethiopia for refuge. And the Israelites crossing the Red Sea. I look at from a historical point how all Europeans could go over here in the USA looking for refuge. Looking for a better life and all of that. So there’s a song on that album about refugees and there’s another song about racism. But I really don’t hear people making any reference about social comments. But this isn’t something I try to do, it’s just a natural part of me. It just naturally comes out of me. Cliff: Ya, that’s one of the songs you wouldn’t say was a huge hit, but it’s one of the good things that came out of me. I wrote that song after I came back from South Africa (during the apartheid era) and witnessed with my band. I went to Soweto, Capetown and Durban. It had a big impact on me. I love that song. SF Sonic: Interesting. There were a few songs that really stuck with me from the record. “Majority Rules” comes to mind. Cliff: There you go again. That’s another song that is one of the songs I love most that I have written. SF Sonic: You also had another song on that record called “Shelter of Your Love” that was featured in the movie Cocktail. So you have all of these aspects of me where I can’t say one particular song. There are so many, yeah? SF Sonic: I wanted to refer to another movie soundtrack song, “I Can See Clearly Now.” And that was in the Cool Runnings soundtrack. Cliff: Yes, “Cool Runnings.” That was a cover version. Johnny Nash first did it. When I first did it in the U.K. I played bongos and that’s when Johnny Nash was recording that in London on a late night at the studio. And I played bongos on it. Johnny and I were pretty close. When he was writing in London, at the same time I was writing there too. SF Sonic: Wow! So that was in your studio. Cliff: It was in the Island Studios. But when they asked me to do that song, it came like a natural for me, so I just did it like a song that was already a part of me. SF Sonic: Well it’s beautiful. It came out wonderful. One more on the movie side, “Hakuna Matata,” how did that all come together? Cliff: “Hakuna Matata” was with a lot of Jamaican musicians also who lived in the U.S. So you know, they said they want to do a reggae version of this song “Hakuna Matata”…how do you feel about it? I said “Great, but we have to change all the lyrics.” So we called upon the advice of a friend, a writer and we talked about it and I said “Ok, why don’t you put that word there for that” and he said “Great.” So that’s how that came about. We really wanted a reggae version so that’s how that came about. SF Sonic: Was it used in the film? Cliff: No, it was not in the film, but they wanted it on the album that they were going to put out. The soundtrack of the film. They wanted a reggae version of the song. SF Sonic: So with all of this film music experience you have, are there any movies being made in Jamaica? Cliff: Ya, a few movies are still being made by Jamaicans. A few every now and then. Not as big as The Harder They Come. But you know, the film industry is pretty much alive. SF Sonic: Like independent films? SF Sonic: So returning to the future. What are you looking forward to in the next year or so? Cliff: I want to get the new music out there to the people. We’ll see where I am at this time in terms of creativity and my feeling and thinking towards the world. Besides that, there’s also a movie on the table. We are still working on (laughs) the sequel to The Harder They Come, but we’ll call it by a different name – Many Rivers To Cross. That’s the working title at the moment. SF Sonic: Has that already been filmed? SF Sonic: Well I look forward to seeing it and saying “Yeah!” again someday soon. It’s been wonderful talking to you today Jimmy. Cliff: Wonderful. I will play out in that area, it’s one of my favorite areas. Look I love playing all over the US, but there’s something about California and my music that resonates a lot, so I’m looking forward to coming out there and playing with this new album. SF Sonic: Well, we look forward to seeing you as well. Cliff: Ok great. Thank you very much.